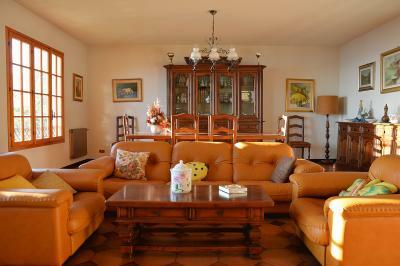 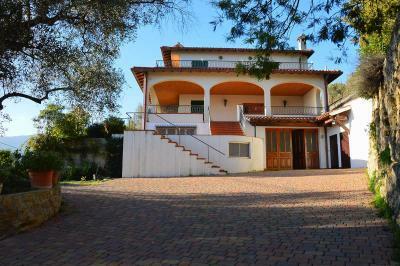 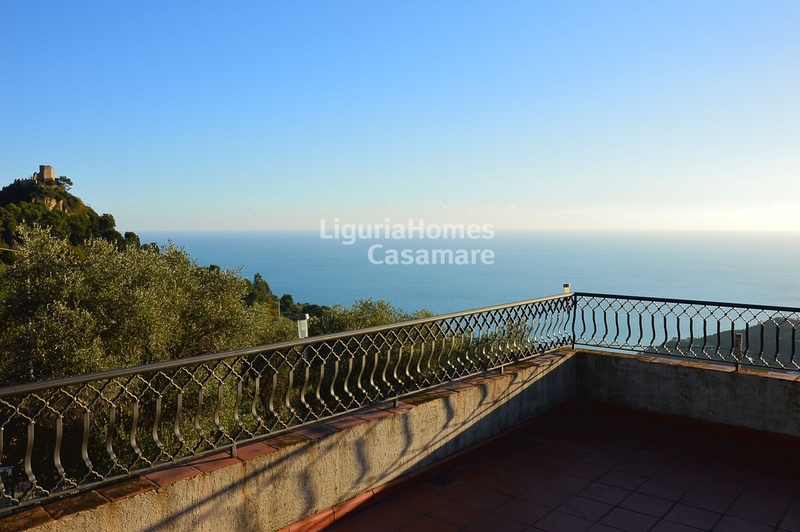 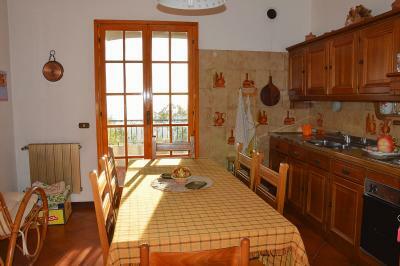 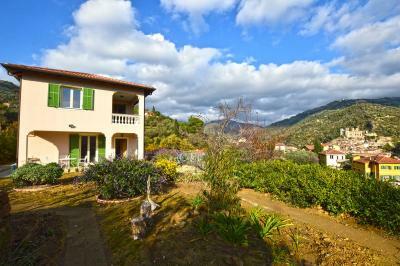 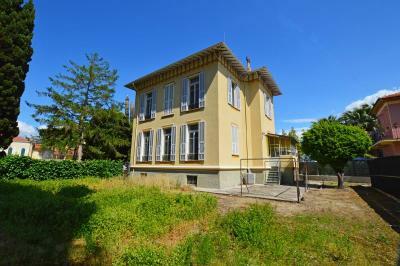 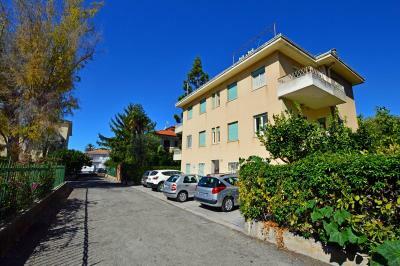 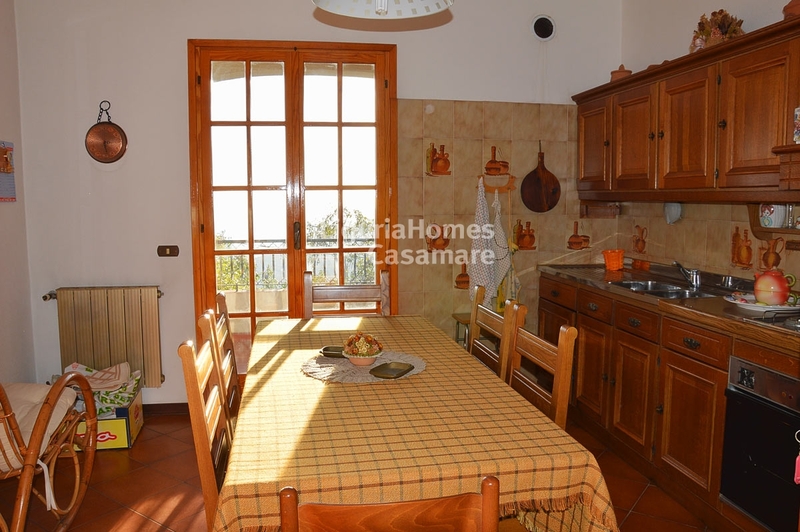 Ventimiglia: Villa for Sale with panoramic sea view. 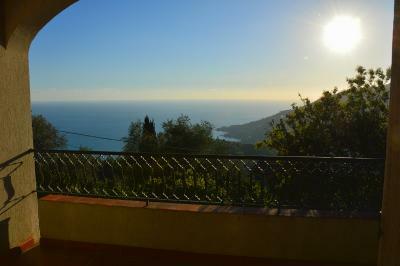 Close to the French border at 10 min from Montecarlo and 30 min to the international Airport of Nice Cote d'Azur, this Villa for Sale in Ventimiglia, enjoys a fantastic view of the Med and is surrounded by a land of 3000 sq.m. 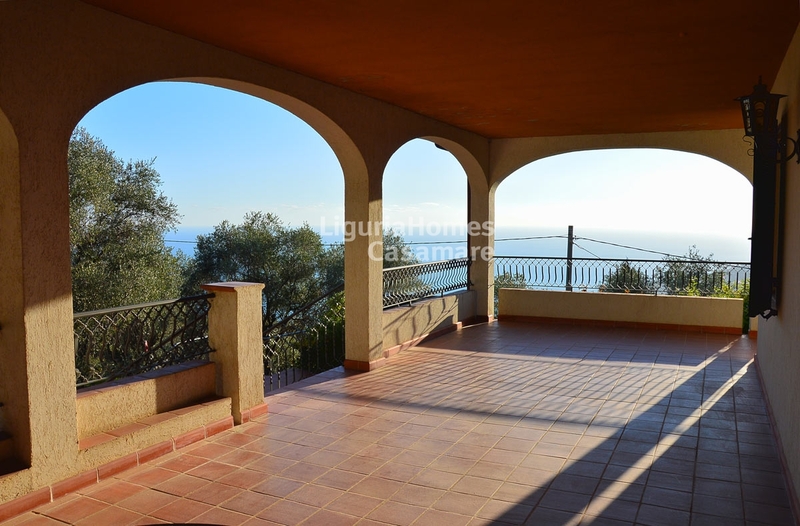 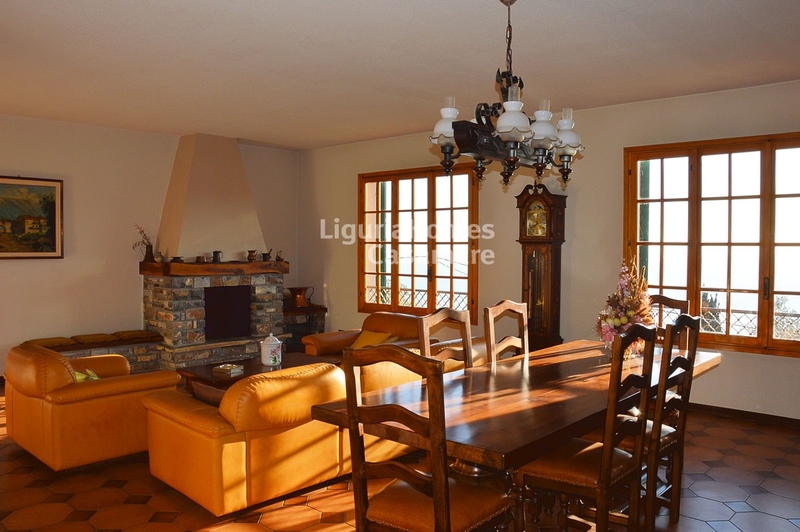 Ground Floor: Entrance, large and sunny living room, kitchen with exit in the covered terrace of 60 sq.m. 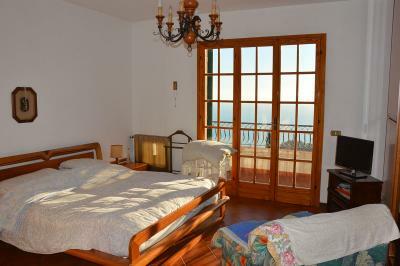 with wonderful sea view, where it's perfect to dine al fresco, bedroom, bathroom and laundry room. First Floor: 4 double bedrooms, bathroom and a wonderful terrace of 50 sq.m. with sea view. To complete this Villa for Sale in Ventimiglia a large garage, some parking spaces and the possibility to build a swimming pool.